There aren’t many artists who’ve sound tracked the birth of dance music and are still leading its development more than two decades later. There are even less who have gifted both the club and pop scenes with unforgettable musical moments that get talked about in hushed tones years after their creation. Dave Seaman is one of a select few. 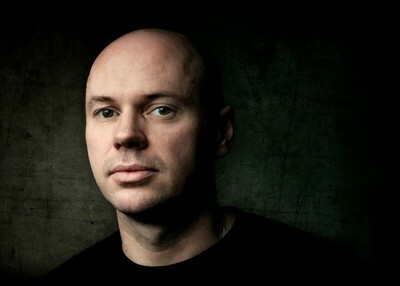 Whether it’s one of his spine-tingling Global Underground or Renaissance CDs that’s still burning a hole in your stereo years after its purchase, or the perfect pop of Kylie’s ‘Confide In Me’ that he co wrote, produced and remixed, there’s very few with their heart in electronic music who haven’t had a Dave Seaman ‘moment’. It’s a commonality that everyone from clubbers at Creamfields, to the biggest recording artists on the planet share. Having devoted almost every weekend over the last 15 years to moving dancefloors from Ibiza to Iceland, Seaman has played the world’s most recognised festivals and clubs in more than 70 countries throughout his career, while still lending his production nous to the music industry’s A List. Along with crafting beats for Ms Minogue, Take That and Pet Shop Boys have enlisted his studio expertise, with everyone from U2, to Michael Jackson, Alanis Morissette, David Bowie and New Order having received a Seaman re-rub. Make no mistake, his talents are unique. Few artists are able harness the creative complexity of an underground club burner and interchange it with the hook-driven dynamics of a pop cut, but Seaman has managed to do it time and time again. With massive discography of more than 60 releases and 30 remixes, his productions have gone on to feature on more than 80 other titles, released all over the globe. Wind the clock back to when Seaman was eight years old and it’s difficult to imagine anyone wanting to devote their life to music quite as much as the Leeds-born lad. While others indulged in pipe dreams of becoming an English Premier League star or following Neil Armstrong into space, Seaman – much to his career councilor’s disapproval – knew he was destined for a life full of beats and rhythm. By the early ‘80s, the music obsessive was spinning records at his high school disco and earning his pocket money playing weddings and birthday parties. He knew how to talk-the-talk, too. In 1987 the still-amateur DJ and DMC member won a trip to New York to attend the New Music Seminar – the industry’s most important event at that time. The trip ultimately led him to land the editor’s role at Mixmag, a position he’d hold for the next three years as he shaped the magazine into being the undisputed clubber’s bible it is today. Seaman played his first bona-fide professional DJ gig at the legendary Shellys in Stoke in 1990, stroking vinyl alongside a couple of emerging talents by the name of Sasha and Laurent Garnier. Acid house was blooming and Seaman’s boundless enthusiasm and creative spirit was petrol in its tank. Seaman’s unrelenting desire to propel music at all levels saw him kickstart the Stress Records imprint through DMC, showcasing tunes by some of the finest talent in dance music for more than a decade. Artists including Sasha, Danny Tenaglia, John Digweed and Groove Armada’s Andy Cato all released smoking club cuts on the label, with many crediting it as acting as a global launching pad for their careers. Today, Seaman’s passion to exhibit boundary-breaking talent is as strong as ever. Via his independent label Audio Therapy, his inspired A&R has helped nurture some of the finest groove-merchants in dance music. The label’s roster speaks for itself, with Popof, Timo Mass, Pig & Dan, Tiger Stripes and Robert Babicz all contributing tracks and remixes recently. Without a doubt, his relationship with Renaissance is one of the most renowned in dance music, with Seaman having contributed 10 mixes to the revered series. Global Underground view the Brit in a similarly lofty light, having secured his services to mix their Melbourne, Buenos Aires and Cape Town volumes. 30 years on from that initial boyhood dream, the places and people may have changed, but Seaman’s passion hasn’t. As busy as ever, he still continues to create. Whether it’s through his own productions (check his recent stunning double A-sider ‘Attack Of The Abalones/Wrong Side Business’, along with collaborations with Josh Gabriel and Andy Chatterley) or his growing list of revered compilations, you know Seaman’s always on the frontline of electronic house music. Toolroom TV / Mihalis Safras / Dave Seaman / Punky Blaster! All times are GMT -4. The time now is 07:39:38 AM.